And...action! Greg was kind enough to open his home to us and spend more than enough time discussing the mental and physical preparation required to pursue big waves around the planet. We probably filmed around 30 hours of interviews for this piece. The two great people responsible for the Long family (their sister Heather is a flight attendant and nurse!). 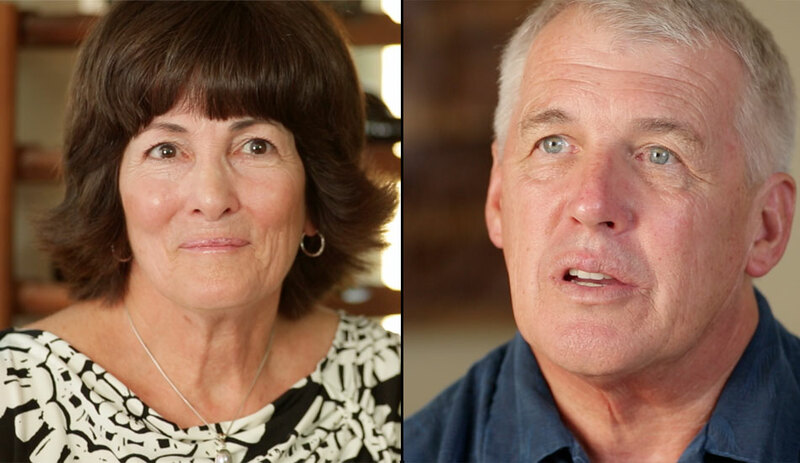 It's no secret that great kids come from great parents, and Jan and Steve are certainly exemplars of that rule. Despite the care and concern they have for their children as they watch them venture out to explore the Earth's biggest waves, they support them whole-heartedly. It was an absolute joy to meet such great parents and get insight into what it's like to raise a big-wave surfing family. Big wave surfer, shaper, and founder of the Big Wave World Tour, Gary Linden shared his story and his passion for making professional big wave surfing a viable career path. He also puts out positive vibes and smiles every time he speaks. Bill Sharp is the man responsible for initiating the Billabong XXL Global Big Wave Awards, a contest in which Greg Long has won nearly every category. One could make a strong case that Bill has done more to raise the prominence of big-wave surfing than nearly anyone. 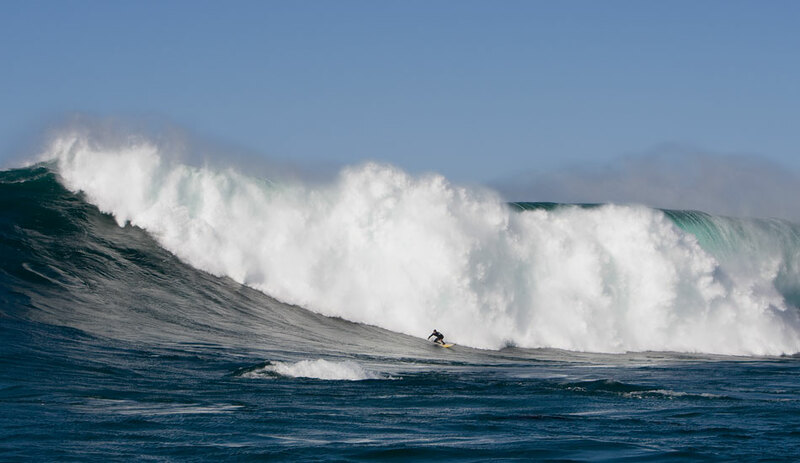 Editor’s Note: Sine Qua Non: The Psychology of Big Wave Surfing is finally available on iTunes! Treat yourself, and download a copy! A year and a half ago, I had an idea. I’ve learned that can be a dangerous thing; the trick is distinguishing the good ones from the bad ones. And this was one of those ideas where the prospect of executing it put an immediate, energizing smile on my face. 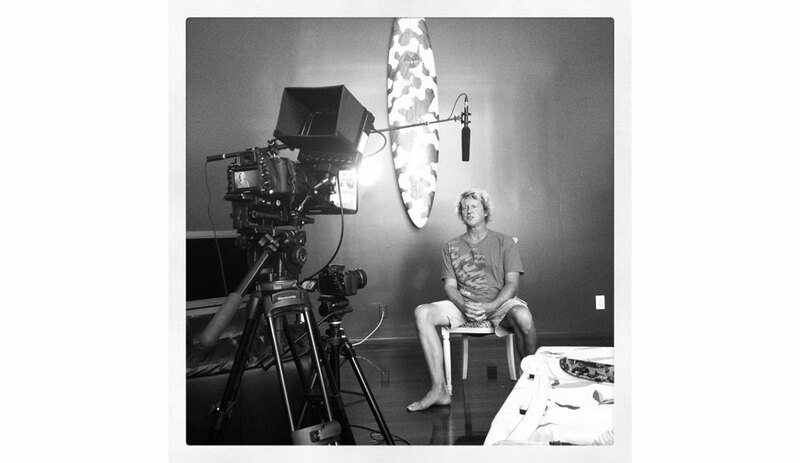 I wanted to launch a documentary film series that tells the best stories in surfing. Period. Where the emphasis is on storytelling, and surfing serves as a gorgeous backdrop for compelling themes that all humans – not just us lucky ones who spend an inordinate amount of time hunting bumps of energy in the ocean – can relate to. Anyone with a pulse and a beating heart should find these stories compelling, and I believe there are plenty of them to go around in the world of surfing. So began the emails, phone calls, and lunches to set it into motion. 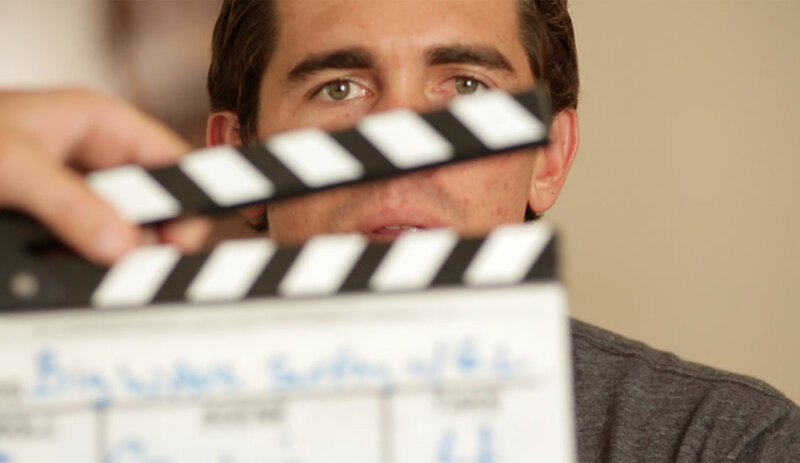 Sourcing inspiration from film series like ESPN’s 30 for 30 and Sixty Minutes, our small team began brainstorming episode ideas and a tentative run sheet for year one. It’s an amorphous project, so the guidelines are flexible (I like flexible), but we hoped to produce between six and eight episodes of about 10 minutes each. Sounds good. So where to start? Without giving away too much on our plans for the year, one name kept popping up. And it kept popping up on horrifically giant waves. The name? Greg Long. Greg has always struck me as a particularly interesting character in the world of professional surfing, which is a realization that comes about four sentences into any conversation with him. By sentence four, you immediately understand that he’d blend in as effortlessly in a law school classroom debate as he does in the lineup at Mavericks. That’s something special. Especially given the nature of his life’s passion: finding and surfing the biggest waves on our planet. One might not suspect those two concepts can coexist: the articulate and thoughtful ambassador heaving his being over the ledge of a 70-foot face in the middle of the ocean? The consequences of a misstep, fatal. Now, there’s a story. Aside from the fact that he’s won nearly every big wave accolade in existence (The Eddie, The Maverick’s Surf Contest, The Red Bull Big Wave Africa event, and nearly every Billabong XXL category) Greg Long might be possibly the best candidate in the world to articulate the ambitions, fears, and psychology associated with being a big-wave surfer. That’s what Sine Qua Non, the title of the episode dedicated to Greg Long and the psychology of big-wave surfing means, and during interviews with Greg, his mom and dad, Jeff Clark, Gary Linden, Evan Slater, Jason Murray, Todd Glaser, Bill Sharp, Chris Dixon, and the folks who have witnessed and supported his ascent in the world of big-wave surfing, it’s a phrase that has became increasingly poignant. Greg admits that dedicating his life to surfing big waves can be a selfish pursuit. His loved ones feel a gut-wrenching anxiety every time a purple blob bursts upon swell charts. For whatever reason, those blobs tend to appear during family holidays, so it’s a difficult lifestyle to say the least. And it’s one where the stakes couldn’t be higher. But it’s an absolutely essential ingredient in Greg’s being. The intensity with which he describes his missions, the careful planning and precautions he takes leading up to big-wave sessions, and the relentless passion he communicates for pushing the boundaries of what is humanly possible are self evident. He can’t live without it. During interviews for this film, we talked a lot about death, the fear of death, and the prospect of one’s life ending while surfing. And I have to say that I’ve never met a family so comfortable with discussing the concept of death as the Longs. Steve Long, Greg’s dad, told us that just being here, living this life is a miracle, and there’s no reason to think that the other side won’t be even more amazing. So during our time here, we might as well live to the absolute fullest. Push human boundaries as far as we can. Live to your potential. Spending time with Greg and those close to him certainly made me reconsider how I live. I’ve made a few small changes here and there, and I’m thinking about making some bigger ones. They’re all for the better. I’m hoping that this film makes you consider what it is you can’t live without. And, hopefully it provides an inkling of justification to pursue that burning passion with reckless abandon. Why not, right? We’ll be premiering the film at Turtle Bay Resort on Wednesday, December 4th at 8 PM, where Greg will be in attendance. Otherwise, head over to iTunes to download a copy! Special thanks: to Jason Murray, Todd Glaser, Bill Sharp and the Billabong XXL Global Big Wave Awards, Gary Linden, Kirk Presley, and Chris Dixon for the amazing imagery and video footage used in this film. As well as to Director Richard Yelland, Director of 12 Miles North, for the long hours and longer conversations.